BROOKLYN, MANHATTAN, AND WASHINGTON D.C. 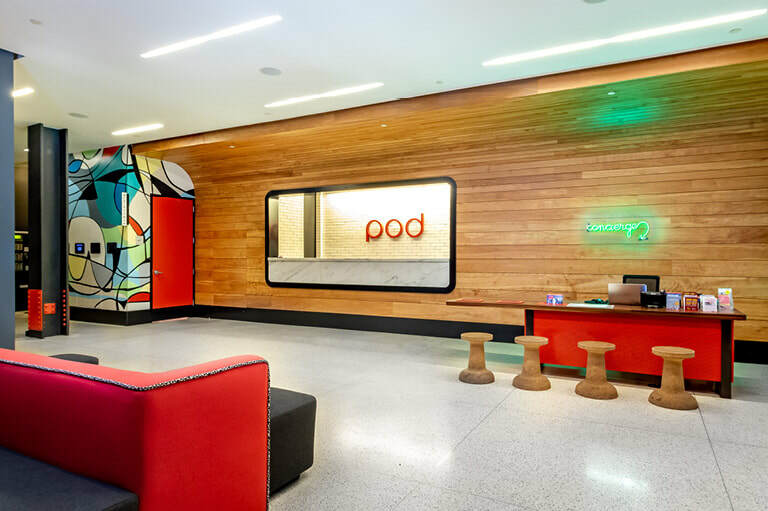 Chic, urban, and in the heart of it all, the Pod Hotels are right where you want to be in New York City and Washington, DC. Pod BK is located in the heart of Williamsburg, Brooklyn. Just a few minutes by subway to Union Square, Pod Brooklyn offers the best of both boroughs. Gaze at the Manhattan skyline from our FOUR roof decks, explore the hippest neighborhood in New York City’s hottest borough, and effortlessly venture to all the iconic NYC sites on your must-see list. 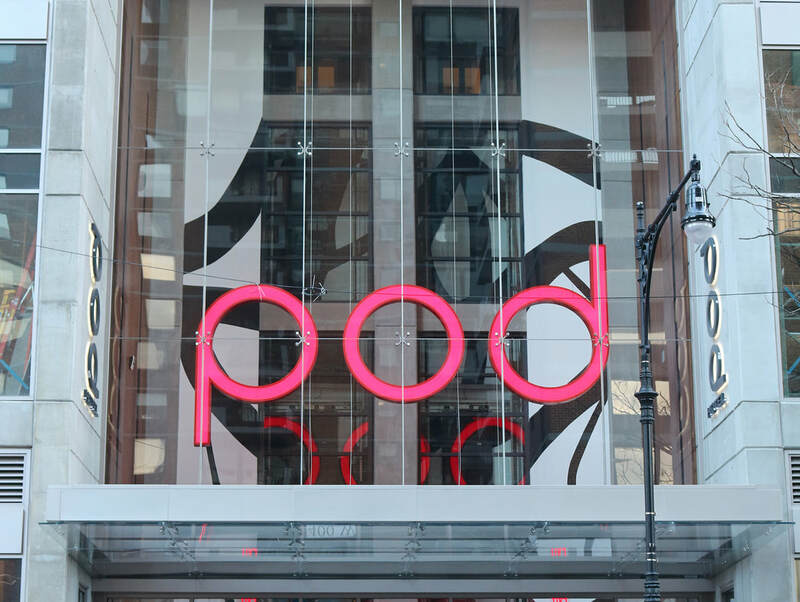 Pod 51 is located in the heart of Midtown Manhattan. On a charming tree-lined block, we’re a short walk from three major subway lines. Take a stroll to Fifth Avenue, Central Park, Grand Central Terminal, Rockefeller Center, and much, much more. Once you step out of our doors, eat, drink, and play options are endless and are limited only by your imagination. Pod 39 is located in the Murray Hill neighborhood of Midtown Manhattan. We are close to all of the action but away from the hustle and bustle. We’re just steps from Grand Central Terminal and five subway lines that will transport you all over New York City. We are also a hop, skip and a jump away from Times Square, Bryant Park, the Empire State Building, and the United Nations Headquarters. Our new location in Times Square is not only set in the crossroads of the world, it’s also just blocks to tranquil Hudson River Park, the Intrepid, and Circle Line Cruises. We’re close to all of the action, but just far enough away — and above — the hustle and bustle. Stroll to Chelsea, Rockefeller Center, Bryant Park, and more. Just one block to the 42nd Street – Port Authority subway and bus station, you’ll have quick and easy access to every neighborhood in New York City and beyond. 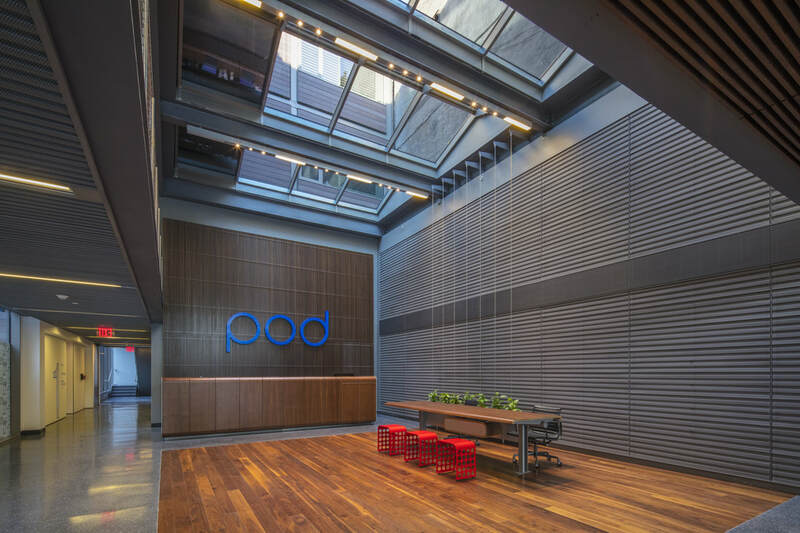 Pod DC is located in Washington DC’s Penn Quarter neighborhood. 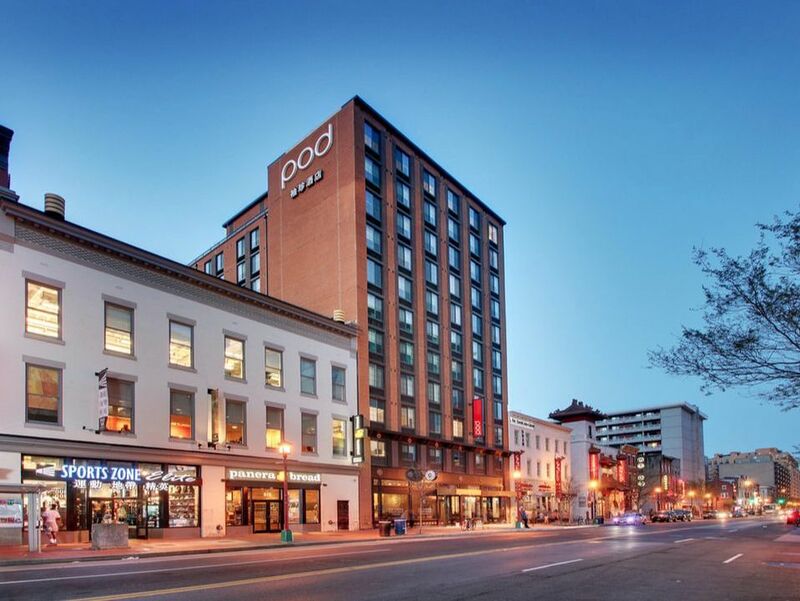 Just across the street from the Gallery Place/Chinatown Metro hub, Pod DC sits in the heart of the Nation’s Capital. Dozens of museums, eateries and nightlife surround Pod DC while the National Mall is a quick 10-minute stroll away. Did we mention the rooftop bar has views of The Washington Monument? Pod DC offers a new and exciting way to stay in Washington DC without spending it all.